When you include KERA in your will or estate plan, it’s a unique expression of what public broadcasting means to you. Your charitable bequest will provide an enduring legacy that will live on to uphold standards of public broadcasting in neighborhoods across our community, benefitting of millions of North Texans, for years to come. An estate gift to KERA carries federal estate tax benefits and is generally not subject to state or inheritance laws. Gifts can be designated or a percentage of one’s estate. Please note, the beneficiary in all legal documents must be designated as North Texas Public Broadcasting, Inc.
For a residuary bequest, typically a percentage (up to 100 percent) of the remainder of an estate is designated. The remainder is defined by monies or assets remaining following the settlement of any debts, expenses or specific bequests. We welcome the opportunity to talk with you, your attorney or advisor to identify ways to support KERA’s educational mission. Your gift carries federal estate tax benefits. Also, charitable bequests generally are not subject to state inheritance or estate taxes. The federal tax identification number for North Texas Public Broadcasting, Inc. is 75-2084961. The idea of a public broadcasting organization that would serve the people of North Texas began in 1955 when community leaders, educators and owners of commercial television stations endorsed a proposal to put KERA TV Channel 13 into operation as an educational station. Channel 13 began broadcasting in September 1960. Since that time, KERA has evolved into one of the most dynamic public media organizations in the country. Dallas businessman and philanthropist Ralph B. Rogers (1909-1997) deserves particular recognition in founding, nurturing and expanding the educational mission of public broadcasting. His exceptional leadership on behalf of his hometown station, KERA, was matched by his outstanding contributions to public broadcasting nationally. During the 1960s, Ralph B. Rogers played an instrumental role in bringing together more than 200 independent educational stations under the umbrella of the Public Broadcasting Service (PBS). 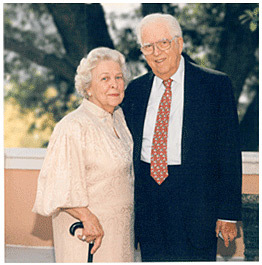 Ralph B. Rogers and his wife, Mary Nell Coots Rogers (1914-2008), are recognized as people who truly made a difference in the lives of others, both here at home and across the nation. Their legacy lives on and continues to inspire others.